When changes are being contemplated to a listed building, conservation plans are often required to provide a concise overview of the building’s historic development, its various components and its setting, and also to provide an assessment of its significance and heritage merit. 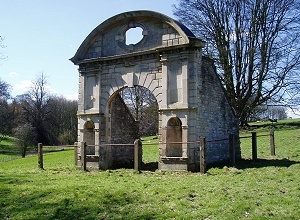 Conservation plans are normally required to support funding bids to the Heritage Lottery Fund and they can also form the basis of a heritage partnership agreement, which is supported by English Heritage, to promote a framework to manage changes to a listed building so as to reduce the number of occasions when listed building consent is required. TRIGPOINT Conservation & Planning has the necessary professional expertise and knowledge to be able to research the historic development of a building and identify features of significance in order to bring forward a considered conservation plan to address the issues arising from the continued use and development of the building. 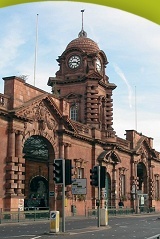 A conservation plan was prepared for Nottingham City Council in advance of proposals to develop a major transport interchange in and around the station. 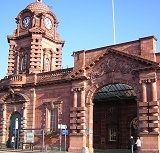 The station was built in 1904 and is now a unique example of a relatively complete Edwardian railway station, which is reflected in its Grade II* listing. Using primary and secondary sources the conservation plan provides an understanding of the station and its historic development and proposes a policy framework designed to minimise the impact of future development on this historic building. A gazetteer was also compiled providing a detailed analysis of all the rooms and spaces within the station, identifying their original functions, recording historic architectural features and assessing their overall significance. A conservation and management plan was prepared for Nottingham City Council following the refurbishment of the Grade II listed Berridge Centre as an extension to the Forest Fields Primary School, on Stanley Street in Nottingham. The Berridge Centre was originally built in 1895 and it is a rare example of a relatively complete Victorian Board School, which is reflected in its Grade II listing. Using primary and secondary sources the conservation plan provided an understanding of the school’s historic development as well as a detailed analysis of the original classrooms and circulation spaces and the surviving architectural features within the building that contributed to the significance the building. With this information, the conservation plan was then able to establish a series of guidelines to inform the future maintenance and management of the building to preserve the architectural features and room layout that contribute to the special architectural and historic interest of the building.